Studying abroad may be the best decision that your student makes during his/her college career. In today’s global society, international experience is expected of college graduates and desired by employers. Passports are becoming just as important as resumes in demonstrating recent graduates’ skills, worldview and ability to contribute to future success. The best way to expand one’s point of view is to spend time living in a foreign culture. This exposure to a new way of life can be eye opening, exciting and challenging at the same time. Your student may discover new passions or hobbies. They may uncover a cause to champion or a career to pursue, and they will return with a new appreciation for the unique freedoms and opportunities we are fortunate to enjoy here in the US. From cuisine to holidays to customs and language, it is fascinating to immerse oneself in another culture. Your student will be able to get to know local community members and participate in a new way of life. We organize visits to historical sites and host inspiring guest speakers. We allow students to not only observe another culture, but also to experience one. Traveling abroad requires numerous skill sets that directly apply to the working world. When your student plans a weekend getaway to Paris, he/she will gain organization, research and navigation skills. When they travel thousands of miles with new friends, they will hone soft skills including communication and teamwork. As they manage their time to see everything they want to see, they will learn balance and self-discipline. Every step along the way, the LeadAbroad staff will encourage reflection and intentional conversation about what they are seeing, learning and doing, so they can reap the maximum benefit from the time abroad. Students from over 75 universities travel abroad with LeadAbroad. Your student will come home with new friends and a community of ambitious, adventurous and like-minded peers. They are also a part of the LeadAbroad family, a network of over 2,000 alumni living, working and blazing new trails all over the US. After successfully navigating a foreign culture, your student will have increased confidence in their ability to conquer any challenge. LeadAbroad focuses on personal development, giving students the space to think about their future, define their values and craft their vision statement. Students return home with renewed purpose and motivation to achieve their goals. We understand that studying abroad is a family decision, and we keep parents in the loop every step along the way. Studying abroad is an investment in your student’s future and we encourage you to consider the long-term impact of international experience on your student. LeadAbroad program fees include many of the expenses of traveling abroad. We also offer scholarships and payment plans to those who qualify. Payment deadlines are based on your student’s acceptance date. You can see all payment deadlines and the refund policy on our Policies, Terms & Conditions page. For any further questions on payments or financing, please e-mail our finance team at info@LeadAbroad.com. LeadAbroad partners with Oglethorpe University to make it easy for students fr om around the US to participate in a LeadAbroad program. Oglethorpe University is a leading liberal arts and sciences university located in Atlanta, Georgia. With its motto, “Make a living, make a life, make a difference,” the missions of OU and LeadAbroad combine seamlessly. Founded in 1835, OU has been named among U.S. News & World Report’s Best Liberal Arts Colleges, Forbes’ America’s Best Colleges, and Princeton Review’s Best Southeastern College in its 2014 edition of The Best Colleges. Oglethorpe is a member of the Annapolis Group, an organization of America’s most selective liberal arts institutions. For seven consecutive years, Oglethorpe has been named to the President’s Higher Education Community Service Honor Roll for commitment to and achievement in community service. Oglethorpe competes in the NCAA Division III Southern Athletic Association, and it is accredited by the Commission on Colleges of the Southern Association of Colleges and Schools to award bachelors and master’s degrees. Through LeadAbroad’s partnership with Oglethorpe University, the faculty is able to focus on their areas of expertise and deliver engaging curriculum to our students. The academic staff leads all academic endeavors including lectures, guest speakers, site visits, discussions, activities and papers. With the help of teaching assistants, the academic staff works closely with students and ensures a challenging classroom environment abroad. From archaeological digs to unearth ruins in Greece to leading international organizations of fellow professors, our faculty are both accomplished and committed to furthering international education. 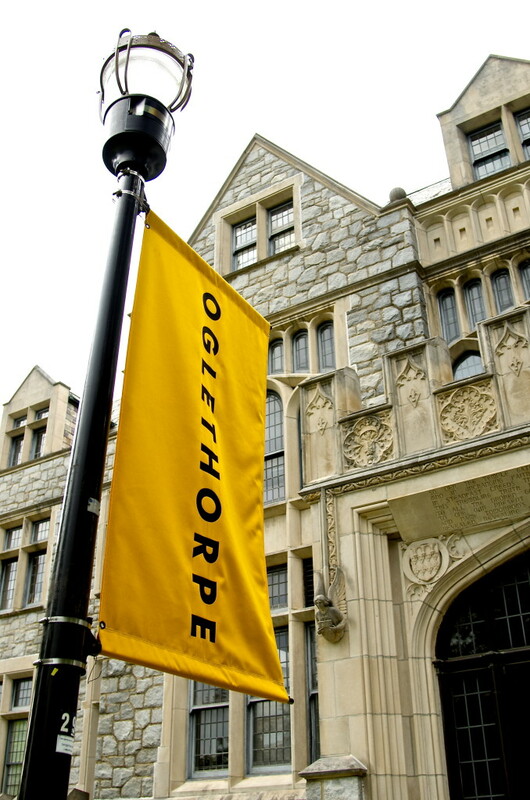 Academic credit for all LeadAbroad programs comes from Oglethorpe University. It is up to each student to follow the policies outlined by his or her home university to transfer the credits. We will work with you and your university to help students navigate the process, but the student is primarily responsible. Student safety is our number one priority at all times. The LeadAbroad team takes a proactive approach to safety on all of our programs. Our thorough procedures focus on assessment, education, security, ongoing monitoring, emergency response and communication. Our team spends months on the ground researching each location, interviewing partners and deciding on the best and the safest itinerary. The LeadAbroad staff makes it a priority to be informed and educated about safety and each member is CPR and First Aid certified. We also educate our students to ensure they are prepared for traveling abroad through online orientations prior to departure and a detailed safety orientation on day one. Our students are required to follow certain security precautions designed to minimize potentially dangerous situations. Every individual is registered with the US embassy. On LEAD programs, students are required to stay in groups of 2 or 3 and sign out whenever they are leaving our accommodation. On GO, DIRECT and PRO programs, we recommend that students explore the city in groups for added safety. Our domestic and international teams are constantly monitoring current events and the US State Department’s travel advisory. LeadAbroad is accessible 24 hours a day via email (info@LeadAbroad.com) and phone (404.720.5657). We are prepared in the case of an emergency with a detailed action plan. We understand who to contact in any situation, and each student will receive an emergency information card to keep with them at all times. Clear, open communication is a key component of our philosophy. We will also be appropriately transparent and forthcoming regarding any issue, whether we are communicating with students, parents, faculty or insurance providers. We also work to keep your student healthy while traveling. All students will fill out a detailed medical form as part of their pre-departure paperwork. We recommend that students visit their doctor prior to departure to ensure that they are in good health and up to date on all vaccines. They should also prepare to bring a full supply of necessary prescription medication with them, in the original containers. During the first week of the program, we will discuss strategies of how to stay healthy while abroad. Good nutrition, sufficient sleep and maintaining balance are all smart ways to stay well. However, we are fully prepared if your student gets sick while abroad. We will accompany him or her to the doctor’s office or urgent care, ensure that they receive treatment and take them to a pharmacy to fill any prescriptions. We accompany every student on every medical visit, so you never have to worry that he or she would need to navigate foreign health care alone. In the case of a medical emergency, our team is well trained in emergency response, and we will ensure that your student promptly gets the care they need. Due to liability concerns, the LeadAbroad team will never administer any over-the-counter medications to your student other than basic first aid supplies. You can find all LeadAbroad policies, terms and conditions here. Review frequently asked questions by parents below! We’ve also complied parent testimonials in the following video. If you would like to speak with a parent of a LeadAbroad alumni to hear more about their experience, we are more than happy to facilitate. Simply email info@LeadAbroad.com. Would you like to speak with someone on the LeadAbroad leadership team to review our programs? LeadAbroad programs are different in many ways. First, we deliver a transformative learning experience. We believe that students are innately curious about the world, themselves and the future. On LeadAbroad programs, we place students at the center of the learning model by challenging their academic, cultural and personal comfort zones to encourage personal growth. Our unique learning environments extend beyond the traditional classroom and help students maximize their true potential. Next, we are different because we provide customized, personal support. Our small and talented team is focused on one simple goal: helping your student study abroad this summer. We know where to begin and can provide personal support every step of the way. Have a question? Call, e-mail or text your personal representative at any time. We will get back within 24 hours with an answer. We are passionate about making your student’s study abroad experience nothing less than life-changing. Finally, LeadAbroad provides curated, boutique travel experiences. We understand that students want to see and do it all during their time abroad. So, we include many of the best activities in the itinerary and will help you check off other bucket list adventures as well. For more details, please visit the Why LeadAbroad page. We understand that studying abroad is a family decision, so we involve parents every step along the way! There are many ways to be involved. First, find out which programs your student is considering so that you can help them select the right location. Then, discuss the financial commitment and make a plan for how you and your student will cover the costs. Make sure they are up to date on all forms, meetings at their home university and payment deadlines. It can be helpful to read up on your student’s destination so you know about the sights and culture of their destination. Follow along during their journey abroad by asking them about their memories, friends and photos after they return. What are the benefits of studying abroad? For more details and resources on the benefits of study abroad, please review the Why Study Abroad section on the Parents page. How much does it cost to travel with LeadAbroad? Summer 2019 program pricing can be found below. LeadAbroad program fees include many of the expenses associated with traveling abroad. Please visit the trip pages linked above for each location to review details. Prices do not include international airfare, personal expenses or most meals. Will my student be safe while abroad? Student safety is our number priority at all times. The LeadAbroad team takes a proactive approach to safety. Our thorough procedures focus on assessment, education, security, ongoing monitoring, emergency response and communication. Assessment: Our team spends months on the ground researching locations, interviewing partners and deciding on the best and safest itinerary. Education: LeadAbroad staff makes it a priority to be informed and educated about safety and each member is CPR and First Aid certified We also educate our students to ensure they are prepared for travel abroad through online orientation prior to departure and a detailed safety orientation on day 1. Security Measures: Our students are required to follow certain security precautions designed to minimize potentially dangerous situations. Every individual is registered with the US embassy. On LEAD programs, students are required to stay in groups of 2 or 3 and sign out whenever they are leaving our accommodation. On GO, DIRECT and PRO programs, we recommend that students explore the city in groups for added safety. Ongoing Monitoring: Our domestic and international teams are constantly monitoring current events and the US State Department’s travel advisory. LeadAbroad is accessible 24 hours a day via email (info@LeadAbroad.com) and phone (404.720.5657). Emergency Response Protocol: We are prepared in the case of an emergency with a detailed action plan. We understand whom to contact in any situation and each student will receive an emergency information card to keep with them at all times. Follow-up Communication: Clear, open communication is a key component of our philosophy. We will also be appropriately transparent and forthcoming regarding any issue, whether we are communicating with students, parents, faculty or insurance providers. Do you offer financial aid? Can my student use financial aid from his/her home institution? We offer a variety of scholarships for LEAD and GO programs. You can find details on these awards here. We do not offer scholarships for DIRECT or PRO. Students may be able to use financial aid from their home university for some of the LeadAbroad costs; however, this is up to the discretion of each university. We recommend that your student meet with their financial aid officer to answer these questions. Does my student need a passport? A visa? Yes, all students need a passport to participate on LeadAbroad. You can find the most current details on passports at the US State Department website. If a student’s passport expires within their program year, he/she should renew the passport before traveling with LeadAbroad. No, you do not need a visa. Most countries only require a visa if you are staying longer than 90 days. What do other parents have to say about LeadAbroad? We would love to put you in touch with our parent reference group! Send us a note here and let us know which location your student is interested in, and we will connect you with the parent of a past student on that program. What is FERPA (Family Education Rights and Privacy Act)? FERPA is a bill that provides privacy for students over 18 years of age. All students will complete a waiver prior to departure that includes a FERPA disclosure. If they select “yes” then the LeadAbroad staff is able to share information regarding payments and academic information with those to whom your student grants access. If they select “no”, we are required by law not to disclose any payment or academic information. Discuss which option is right for your family with your student prior to completing the form. How does my student know how to prepare for the program? As soon as your student is accepted, he or she will gain access to our accepted student portal. This portal is the hub for all information they will need as they prepare to go abroad. It is split into three sections: getting on board, getting ready for class and getting ready to go abroad. Encourage your student to read all of the information and review the forms they will need to complete. This portal also lists all deadlines so that your student can stay on track. Is there a GPA minimum? For GO and LEAD programs, we require a 2.0 minimum GPA. For DIRECT and PRO programs, there is no minimum GPA. Is there a group flight? LeadAbroad offers a group flight itinerary for most programs. This optional flight is separate from program fees and tuition. Students can book their group flight through LeadAbroad via their online portal, or they can choose to book their own itinerary. Different programs will have different procedures on airport greeting and transportation to the accommodations, so it is important to check the specific policy for your student’s program. Can I use frequent flyer miles to book the group flight? The only case where you can use frequent flyer miles is if you book your student’s flight independently. LeadAbroad cannot accept points or miles to secure a group flight. You can still book the same exact itinerary as the group, but it will be an independent booking. If your student chooses to purchase a LeadAbroad group flight ticket through their portal, you may be able to add your frequent flyer account to the ticket. Email us at info@LeadAbroad.com for more information. How do I keep in touch with my student? There are many ways to keep in touch with your student while they are abroad. Most of our accommodations have WiFi, so students will be able to check in through email. If you prefer to text message, you can send messages over Wi-Fi using iMessage, WhatsApp or Viber. Skype or GoogleHang are also both great ways to video chat online. If your student is bringing his or her US cell phone, it is possible to equip them with international data plans to enable phone calls and messages over cellular service. Check with your cell phone service provider to see what the costs and fees are associated with an international plan. You will also want to be sure that your student adjusts their cellular data settings so they only use data for certain apps. For Cape Town programs, we work with Vodacom if students would like to rent a local phone while they are abroad. We recommend that students do this as an easy way to stay in touch with other students and with staff. From the US, you can call their South African phone using a calling card. These can be found at any drugstore, Costco or Sam’s Club. In addition to direct communication, the LeadAbroad team will be posting photos and updates from the students while they are abroad. Through Facebook and Instagram you can experience the adventures right alongside your student. How do I know if my student is okay while abroad? Before your student departs, set expectations of how often you plan to be in touch. Your student may think that speaking once a week is sufficient while you may want to be in touch more often. If you are worried about your student, call, text or email them and give them some time to respond. Our itineraries are busy and wifi can be slow when many students try to access. If you are very concerned about your student, contact LeadAbroad and we will reach out to the Program Director for an update. What if my student becomes sick during the program? During the first week of the program, we discuss strategies to stay well while traveling. Good nutrition, sufficient sleep and maintaining balance are all good ways to stay healthy. However, we are fully prepared if your student gets sick while abroad. We will accompany him or her to the doctor’s office or urgent care, ensure that they receive treatment and take them to a pharmacy to fulfill any prescriptions. We accompany every student on every medical visit, so you never have to worry that they would need to navigate foreign health care alone. In the case of a medical emergency, our team is well trained in emergency response, and we will ensure that your student gets the care they need promptly. Due to liability concerns, the LeadAbroad team will never administer any over-the-counter medications to your student other than basic first aid supplies. We recommend that all students visit their doctor prior to departure to ensure that they are in good health and up to date on all vaccines. They should also prepare to bring a full supply of all necessary prescription with them, in the original containers. Where will my student live while abroad? We take great care in selecting safe accommodations for all of our students. In Cape Town, students will live in apartments on the beach, right outside of the city. There will be four students of the same gender in each two-bedroom apartment. They come with stocked kitchens, balconies, living areas and access to laundry. On site, there are two restaurants, a gym and a spa. In Greece, students will live in hotels in Athens, Crete and Santorini. All hotels have 24-hour security. Students will live in double or triple rooms with students of the same gender. In Rome, Barcelona and Paris, students will live in residence halls or apartments near the university. The residence halls have single, double and/or triple rooms as well as 24-hour security. Students have access to shared kitchen facilities. In Costa Rica, students will stay in centrally located hotels with 24-hour security. On all LeadAbroad programs, no non-program guests are allowed in student rooms. All LeadAbroad programs include a welcome and final dinner. LEAD programs also include weekly group dinners, and all meals during the Garden Route Adventure Week. Greece programs also include breakfast. How does my student access money abroad? Debit and credit cards are the easiest ways to access money abroad. We recommend that all students have at least two ways to access money in case one becomes inactive, for example a debit card and a credit card. Visa and Mastercard are the most widely accepted types. You do not need to get traveler’s checks as they are more hassle than necessary. You do not need to get local currency before you go since there are ATMs in all of our locations’ airports. It is important to call your bank and let them know of your student’s travel dates and plans, including any layovers. Many times, banks cancel cards for fear of fraudulent activity that is actually just your student trying to access money abroad. Students should withdraw the funds necessary for a week or two at a time. They should keep most of this money in their rooms and only have on them what they plan to use that day. What type of staff do you have on LeadAbroad programs? Our unique staffing model allows us to have three types of staff on LeadAbroad programs. First, we have LeadAbroad Program Directors. These staff members are full time employees of LeadAbroad with multiples years of experience on the ground. Our program directors are responsible for all program logistics, tours, meals and activities. They are responsible for student health and safety. On GO and LEAD programs, we also have Oglethorpe University faculty. These faculty members and teaching assistants are responsible for all course lectures, assignments, discussions and grading. We have incredible professors who are experts in their fields of study. You can find biographies of our faculty members on your student’s accepted student page. Click on your program here and scroll to the program staff section. On all programs, we also have LeadAbroad interns. These interns are usually past students who can relate to current students as peers. Their relativity allows the interns to serve in a unique mentoring role while also assisting with logistics, health and safety. LeadAbroad internships are very competitive positions with less than 10% of applicants receiving a position. This triad model to staffing means that our student to staff ratio is among the lowest of any study abroad program. Our staff is committed to keeping all students safe, mentoring them and ensuring that they have a transformative experience abroad. Yes, LeadAbroad accepts Visa, MasterCard and Discover. We do not accept American Express. Payment for all program fees, add-ons and additional items can be made through your student’s portal here. Payment can also be submitted via eCheck. Please select this option during checkout which will prompt the system to request your bank account information. Paper checks cannot be accepted. Can I visit my student during or after the program? Due to the busy nature of LeadAbroad itineraries, you cannot visit your student during the program. We want your student to make the most of this experience, free from the distraction of visiting family or friends. You are more than welcome to meet up with your student at the end of the program! We have had many parents meet up with their students and continue to explore together. This is a fantastic way to connect with your student’s international experience and visit some of their favorite locations. Does my student need to speak a foreign language? No. None of our programs have a language requirement. It is easy to get by with English and basic gestures in all of our locations. What should I know about reverse culture shock? After an amazing summer abroad, your student may experience reverse culture shock. This is very normal, and it is important to be familiar with this reaction. Reverse culture shock, also called re-entry, is an emotional and psychological stage of readjustment. Your student has just spent weeks getting used to a new culture, way of life, schedule and cuisine. It is natural for them to feel confused, sad or lonely when they return. Symptoms of reverse culture shock can be boredom, frustration, restlessness, confusion, change in goals or values, feelings of isolation or negativity towards their native culture. The best way to handle reverse culture shock is to allow your student time to readjust. You can also ask them to share stories and photos from their time abroad. It can help for students to continue to journal, take photographs or explore other hobbies they picked up while abroad. It can be wise to get involved with the local community, family, friends, neighbors and roommates. Encourage them to reach out to their LeadAbroad peers as well as many are experiencing similar emotions. Over time, your student will learn how to balance the new perspective that they have gained abroad with their native culture and community. Where can I find all LeadAbroad policies? You can review all of our policies the LeadAbroad Policies, Terms & Conditions page here. What happens if a program is cancelled? It is very unlikely that a program would be cancelled. However, we defer to the US State Department and will never operate a program if there is a travel advisory in effect for that location. If a program is cancelled due to an act of war or terrorism, State Department warning or other circumstances that makes the program location unsafe, all money not already dispersed to third-parties on behalf of the student will be refunded to each student. If any emergency, weather delay or other unavoidable situation leads to a delay in a departure from or return to the US, the student is responsible for normal living expenses for the additional time spent in the US or abroad and for penalties or costs related to changed airline tickets. LeadAbroad’s refund policy is intended to provide transparent communication and allow you to make educated decisions. The refund policies below apply to program fees and tuition payments. All other payments including flight payments are non-refundable. If a student withdraws from the program before January 1, all payments except $100 application fee and group flight payments will be refunded. If a student withdraws from the program on or after January 1 but before February 1, all payments except for $500 and the group flight payments will be refunded. If a student withdraws from the program on or after February 1 but before March 1, all payments except $2000 and the group flight payments will be refunded. If a student withdraws from the program after March 1, there will be no refund. What happens if my student has to withdraw from a LeadAbroad program? We understand that circumstances change and that your student may no longer be able to join us abroad. In that case, he or she would need to complete the LeadAbroad Withdrawal Form, which can be requested by contacting info@LeadAbroad.com. Regarding all payments, refunds will follow the refund policy above. There are no refunds for group flight payments. How do I get in touch if I have more questions? We would love to speak with you! The LeadAbroad team is more than happy to answer your questions. Feel free to email us at info@LeadAbroad.com or call us at 404.720.5657. We will respond within 24 hours.